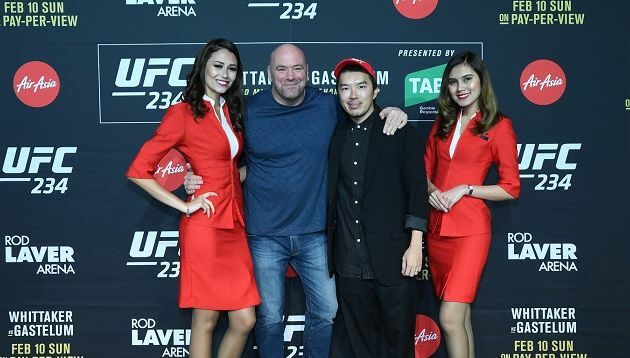 AirAsia has extended its partnership with mixed martial arts (MMA) organisation, UFC, for another year to continue developing and discovering new MMA talent in the Asia Pacific region and create original content for MMA fans. According to AirAsia, co-branded UFC-AirAsia merchandise will also be available on AirAsia flights starting with model airplanes of the UFC-branded aircraft. The airline also said in a press statement that more innovative campaigns and activations are planned for 2019. A+M has reached out to AirAsia for additional information about the upcoming campaigns and activations. Both parties first inked a partnership in 2017, with AirAsia serving as UFC’s official airline sponsor. The collaboration saw AirAsia unveiling a UFC-branded livery on its Airbus A330-300 as well as having its branding featured inside the Octagon. Meanwhile, AirAsia recognised the rising popularity of UFC athletes and began working with individuals such as Australian UFC heavyweight Tai Tuivasa to extend its messaging and reach a broader audience. This partnership enabled AirAsia access to UFC’s premier Pay-Per-View events such as UFC® 229: KHABIB vs. MCGREGOR, which saw the airline taking over the red corner of the Octagon. AirAsia Group head of branding Rudy Khaw said: “As an airline that’s passionate about providing people with opportunities, we’re excited to continue our work to discover and nurture new MMA talent across the region.” Khaw added that in 2018, the partnership “delivered a knockout year” and it is “extremely proud” to extend its partnership with UFC. He also thanked the team at AirAsia for their continued support, adding that UFC is “very proud” of the strong partnership both parties have built together. In a statement on SGX, Singtel said it has entered into and “completed a share purchase agreement to sell its entire 30% sharehold..